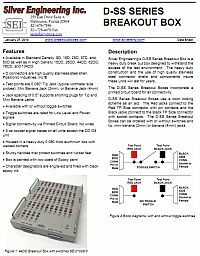 Silver Engineering's D-SS Series Breakout Box is a heavy duty break out box designed to withstand the abuses of the test environment. The heavy duty construction and the use of high quality stainless steel connector shells and components insure these units will last for years. 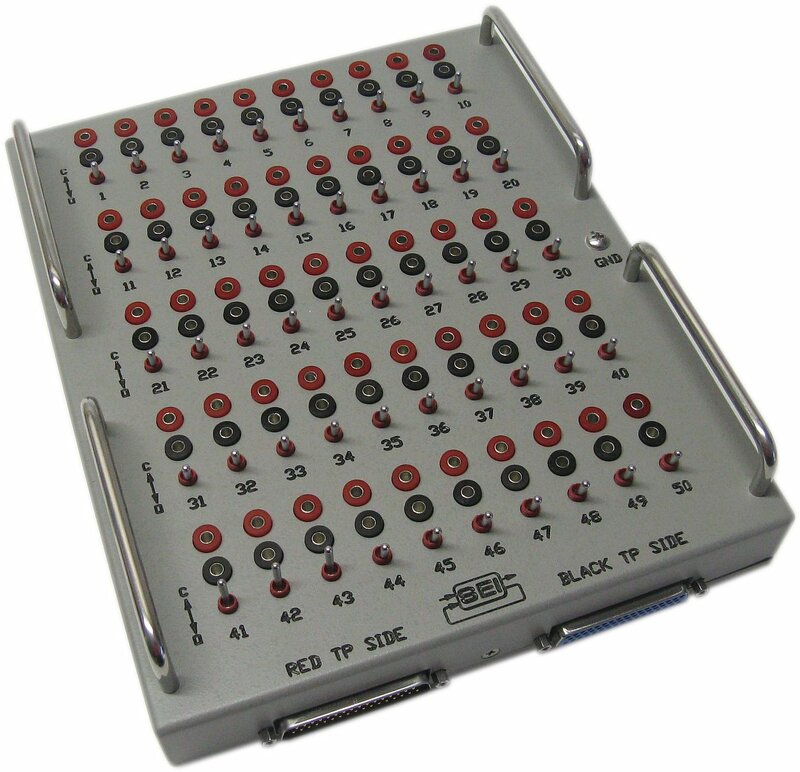 The D-SS Series Breakout Boxes incorporate a printed circuit board for all connectivity. D-SS Series Breakout Boxes use a color coding scheme as an aid. 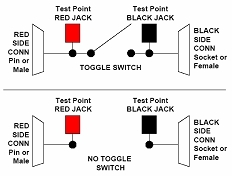 The Red jacks connect to the Red TP Side connector with pin contacts and the Black jacks connect to the Black TP Side connector with socket contacts. The D-SS Series Breakout Boxes can be ordered with toggle switches, with locking toggle switches or without switches. In addition, tip (80mil), mini-banana (2mm) or banana (4mm) jacks can be selected.